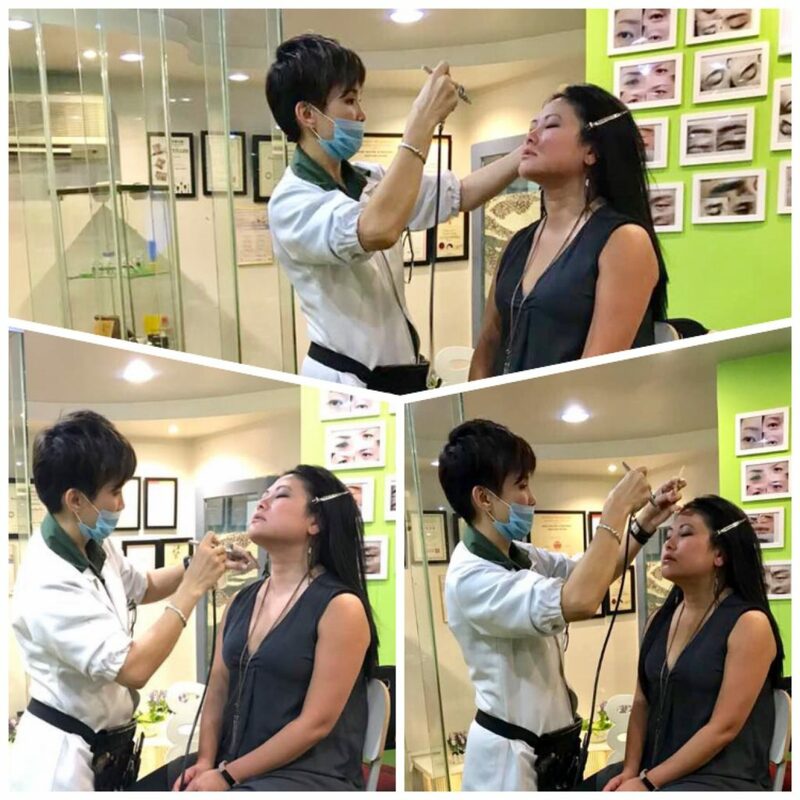 Florence Wong Image’s many customers had the same experience of over plucking their eyebrows. “Now my brows hair do not grow anymore!” This will be the cumulative effect over time of constant plucking of hairs out. 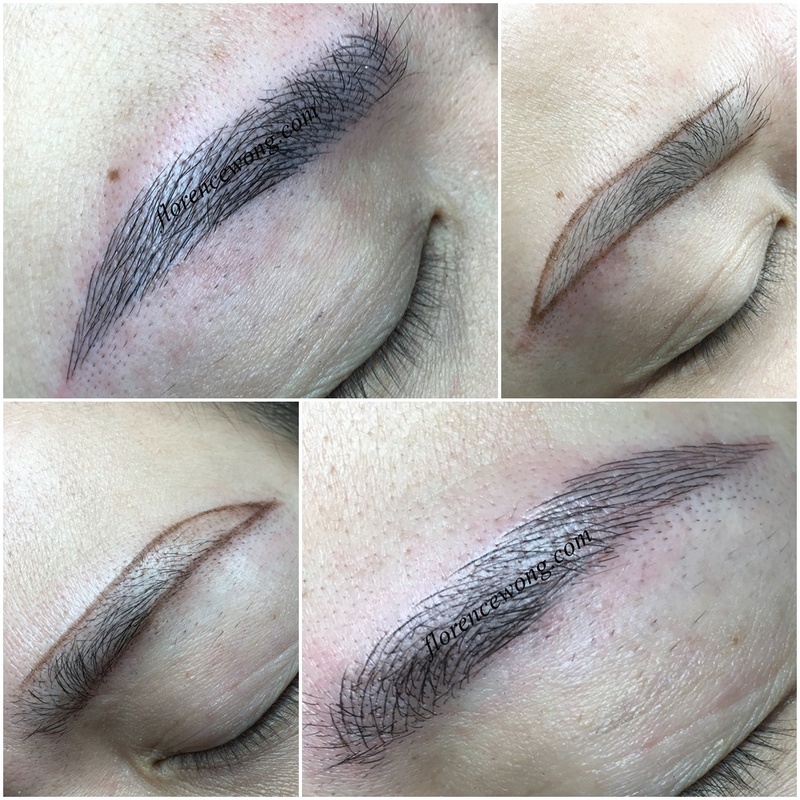 Clients would usually pluck off the excess hairs at the bottom parts of the brows. 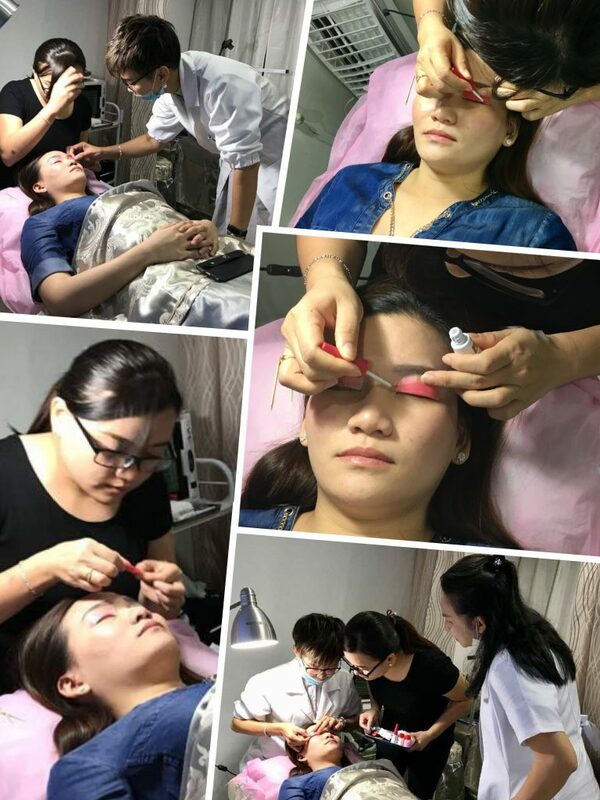 This action will thin out the eyebrows shapes, rendering wider the gap of eyebrows away from the eyes. Too much of a gap will make the brows seem hanging. Our artist thickened the lower parts of the brows to seemingly ‘capture’ the brow and eye together as ‘one’ complementary feature. 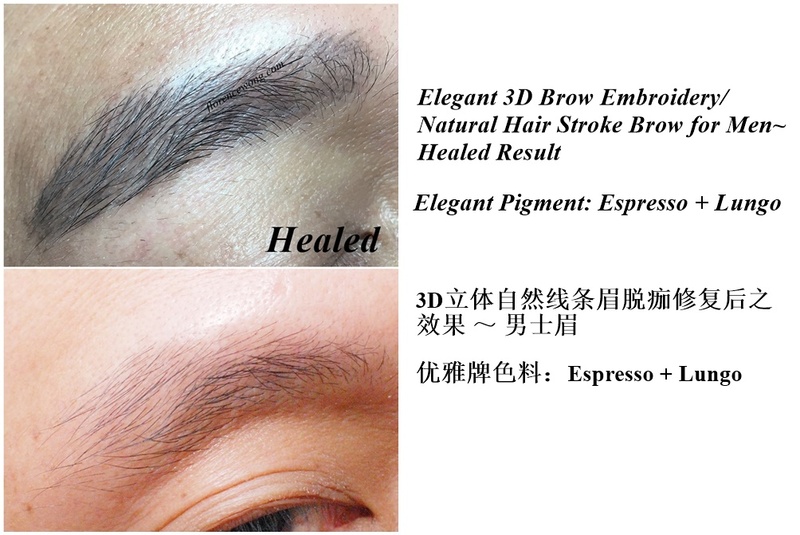 The eyebrows were treated with deft hair strokes to achieve the three-dimensional effect. Yes, all the pictures posted here are not modified or doctored in any way. This is because I want to show what is ACTUAL and REAL. 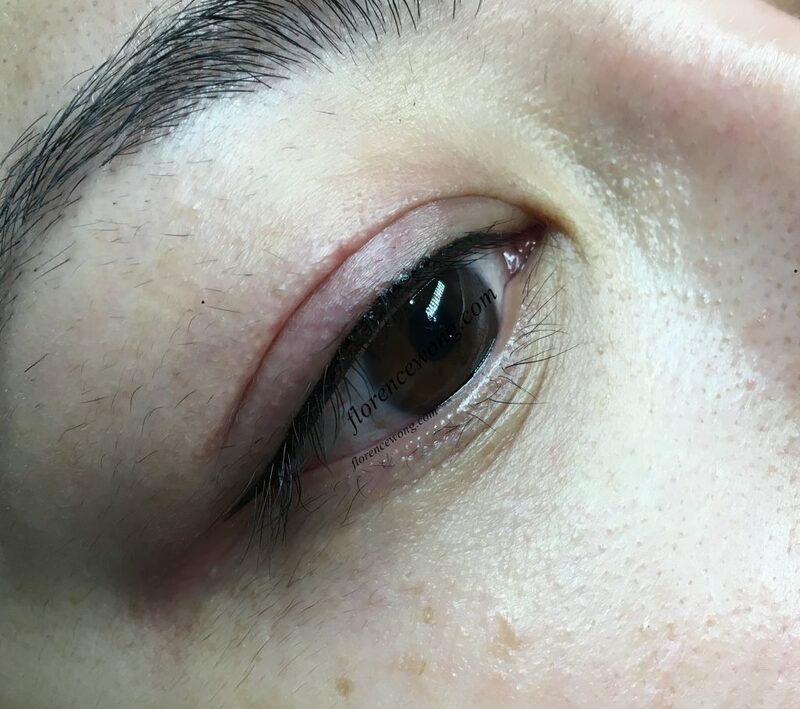 Reddish marks on the skin around the brow area is therefore normal after an embroidery process. There may even be some minor swelling for individuals with skin allergy but all will fade off after a while. Here at Florence Wong Image, we practise transparency and honesty with our clients. 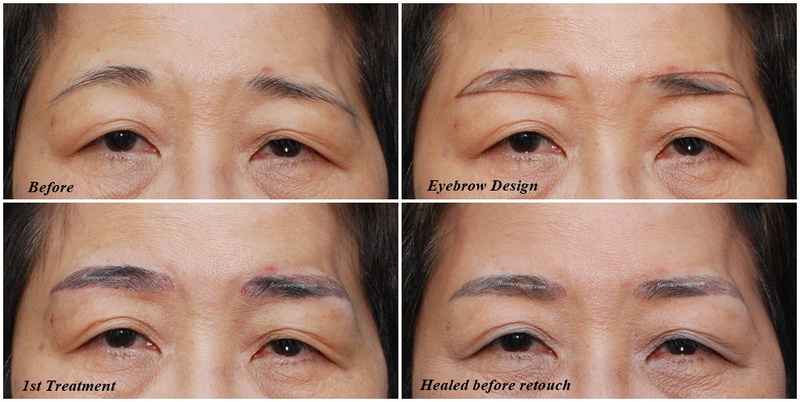 Imbalance and droopy eyebrows – Florence Wong Image’s artist literally transformed her looks with new brow shapes and etched appropriate hair strokes for a full natural brow finish. 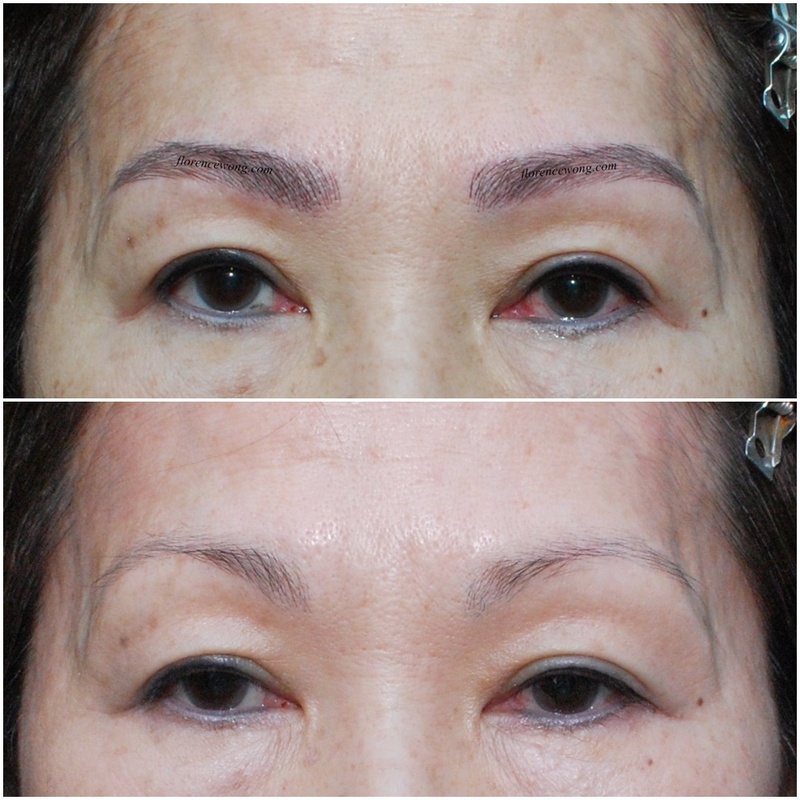 There have been many queries and requests for exact symmetrical eyebrows to rectify imbalanced brows. *can we design or draw a pair of eyebrows by using a ruler on our face for measurement? * is our face a blank paper? * are our features flat? * can we draw 2 mountains on our face as if we are drawing on a flat blank paper? * can we ‘just copy’ one brow to another without taking into account the individual/unique proportions, bone structure and muscle movements of one’s features? The answer to all above is a big ‘NO’. 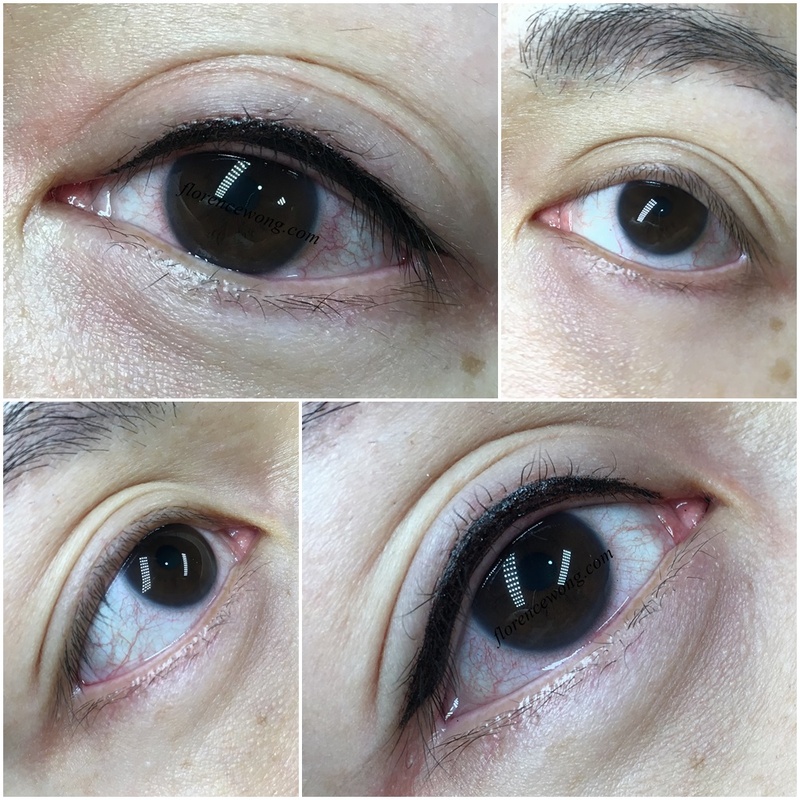 Before attempting any brow designs, master artists have to study and understand the smallest details of a client’s face, muscles and bone structure as they are normally not balanced proportionately on both sides of the face. 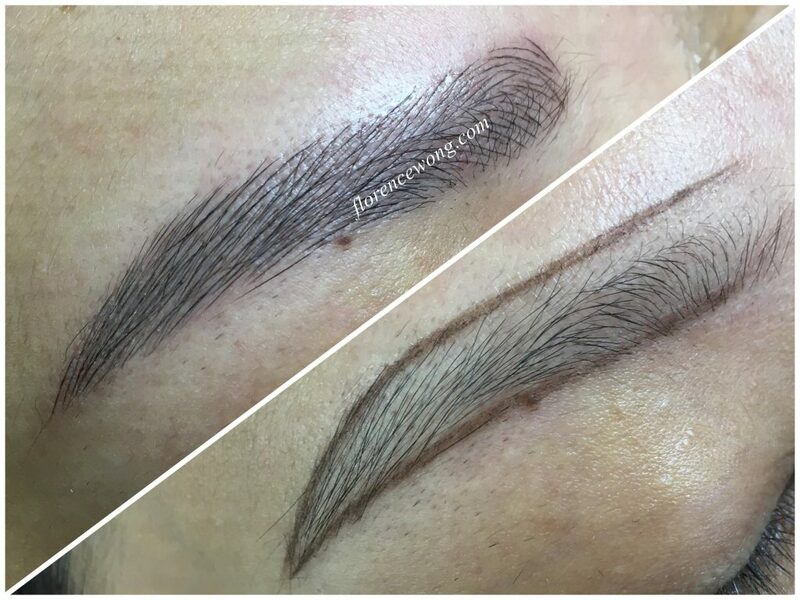 Eyebrow designs therefore will be customized based on each unique client’s face.